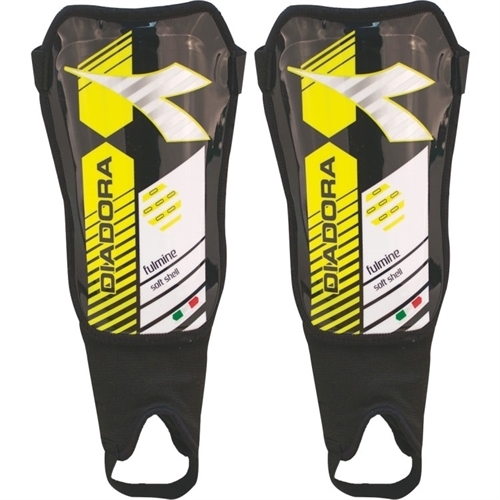 Diadora Fulmine Soft Shell Shin Guards NOCSAE Approved - Black/Yellow, is lightweight, low profile shinguard that is good for all players. EVA ankle discs and padded Achilles for additional protection. Front fastening velcro calf strap.